Interview with ballet photographer Jack Devant, who has recently portrayed Sergei in ‘La Bayadere’ and ‘Giselle’. By Emanuela Borgatta Dunnett for Sergei Polunin and Sergei Polunin Italia FB pages. 1. How does your passion for the ballet world affect your photographs? Passion is a required premise to shoot ballet, I guess. In my case, the passion came first and shooting came later. Passion helps to learn every single ballet you shoot. Knowing well the piece, you have a better chance to capture its essence. Honestly, I can’t imagine someone to shoot a three hour ballet, fully concentrated on every note, if they are not passionate about it. 2. Do you have any particular preference for a specific theatre and/or ballet and why? I don’t have a theatre I prefer, but I love the Vaganova school. Wherever they dance, I really like to shoot their performance. Why? Because Vaganova takes dance-technical aspects out of the equation. These dancers are technically so strong, that they really concentrate on the role and this is really important to me. I like to shoot classical ballets. They are more “photogenic”, as clean ballet lines represent the absolute beauty of the human body. Therefore, I travel a lot to St Petersburg. This is my #1 city I would say. 3. I read you studied in Tallin, for a while. Is there a difference in the way ballet is perceived in different countries and if so, does this difference have an impact on your images? Estonia was part of the URRS for a long time. In that sense Estonian classical dance got a strong influence from St Petersburg, Vaganova, Mariinsky – in less than a 400 km train trip. Tallinn Choreography School uses the same “Vaganova method”, giving a strong classical foundation. Many Estonian dancers, choreographers and pedagogues have studied in St Petersburg and Moscow. 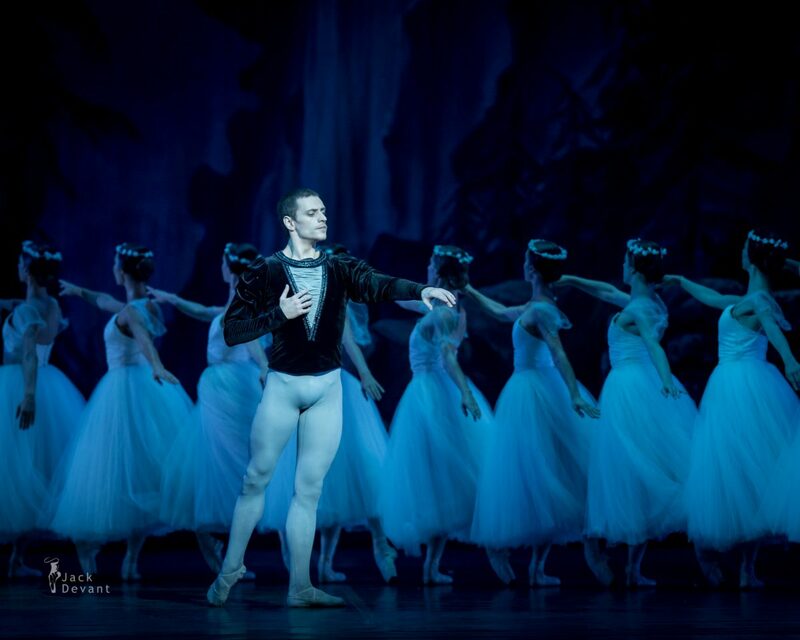 The Estonian National Ballet is a fusion of the Russian and the English ballet schools. Toomas Edur (head of the Estonian Ballet) and Age Oks, having been principal dancers (1990–2009) of the English National Ballet brought a lot of their expertise from London. 4. Sergei Polunin’s fans are pretty familiar with your amazing photographs. Can you tell us something more about the experience/process of portraying him during a performance? It is very hard to portray him, living deeply in his own personal world and being fairly unpredictable, but he is also extremely humble. One important thing I always notice is how his partners enjoy dancing with him. This takes the performance to a completely different level. Having said all that, after the last shoot in Naples with Zakharova, I felt that maybe I caught something very special, possibly historical. 5. How are the final shots chosen? Which details capture your attention the most? Selecting final shots is an elaborate and emotionally exhausting process. I usually shoot something like 600-800 shots in a full ballet. Then I carry out a first selection, based on the technical quality, composition, positions etc. I usually pick 100-150 or so and talk to my consultant, who is a pedagogue of classical ballet. We come down to 50-70 ballet-technically correct shots. Then I delete all shots below the bar. The last approval is given by dancers, the ballet master or the choreographer, depending on the case. Finally, I get an average of 15 shots per ballet. There are prima ballerinas who accept only 3 shots and others, who approve the whole set. That all depends.